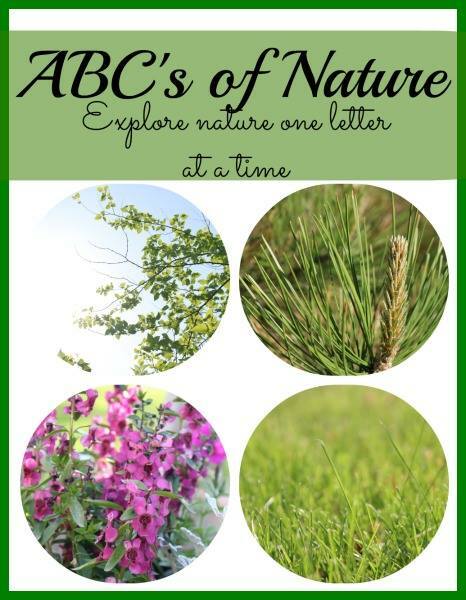 We are taking part in the ABCs of Nature series, hosted by School Time Snippets. 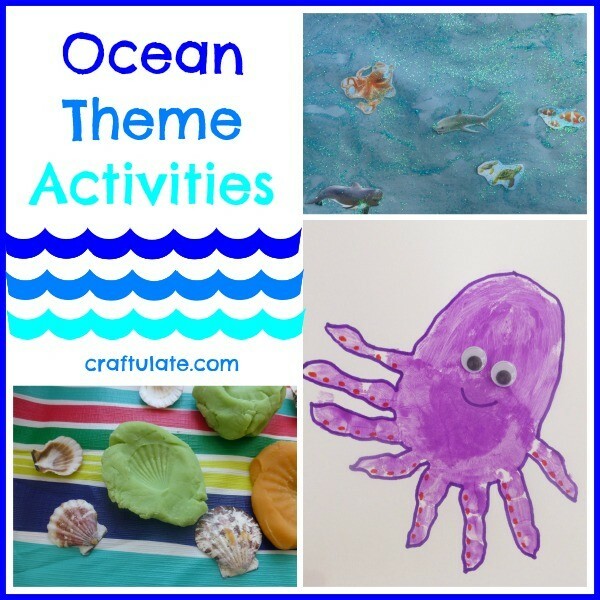 I selected the letter “O” and we have had a LOT of fun with many different kinds of ocean theme activities! One of our first activities for our Ocean Theme was to add to our collection of handprints. 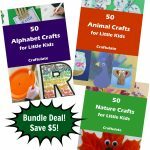 We already had several from previous projects like our ABCs of Animal Handprints. We made a shark by adapting a blue handprint. We also made an octopus by only painting F’s fingers and palm and then making two overlapping handprints. 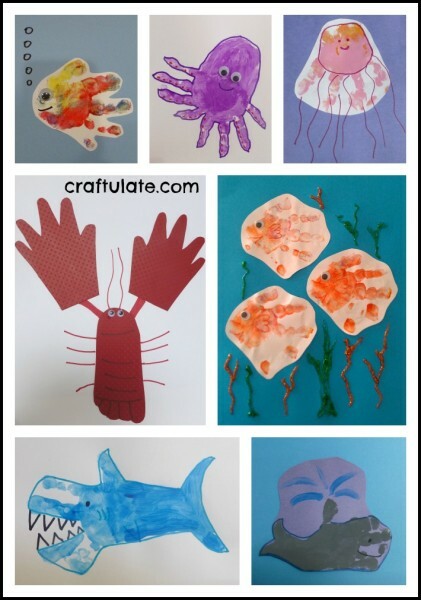 Here’s the whole collection of ocean themed handprints: Fish, Octopus, Jellyfish, Lobster, more Fish, Shark and Whale! 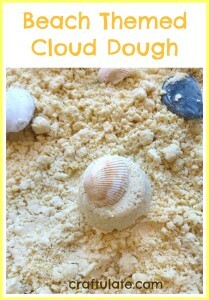 Next we used some sea shells to make imprints into play dough. I received some blue glitter glue from the lovely people at craftprojectideas.com and it was the perfect color for sparkly ocean water! 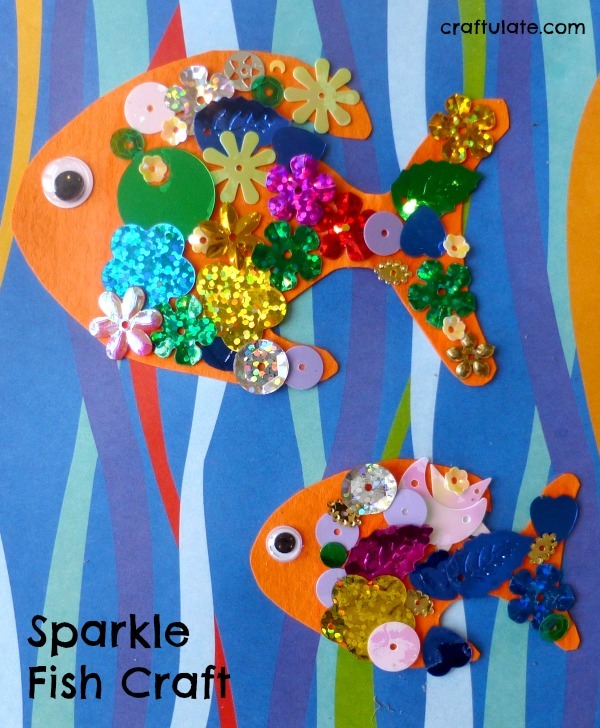 Usually I try to limit F’s use of glitter glue but I just let him go for it over a piece of blue construction paper. Then he added some pictures of various sea creatures that I had cut out from an old calendar. 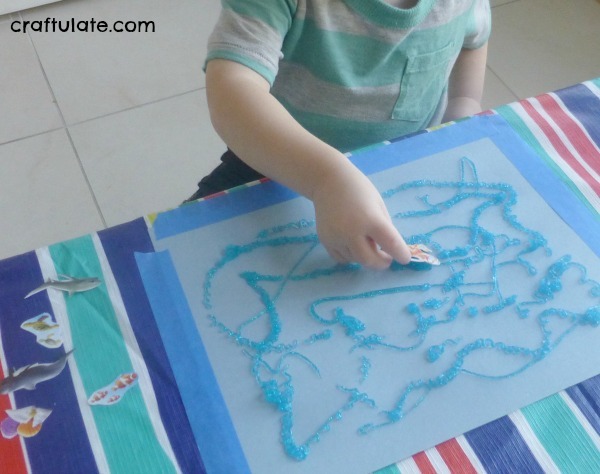 I think F thought he was finished at this point but then I showed him how to use a paintbrush to spread the glitter glue around the paper to finish off the lovely sparkly ocean collage! 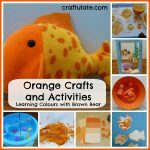 If you’re looking for more Ocean Theme Activities, here are some great ones that we have done in the past! As mentioned earlier, this is just part of the great ABCs of Nature series. Please check out the rest of the letters! 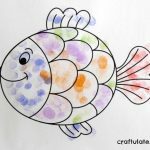 Follow Craftulate’s board Oceans and Seas on Pinterest. 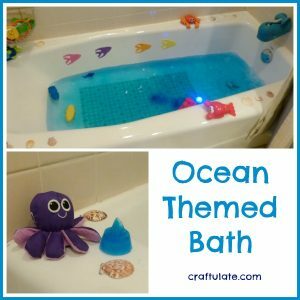 Ooooh I’d like to make *my* bedroom ocean themed! Lovely idea! Absolutely love the shark handprint! 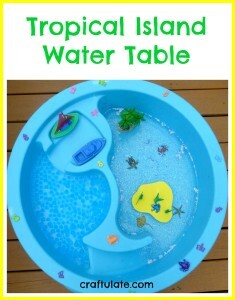 Brilliant ocean activities for all ages. I love how you explored oceans! 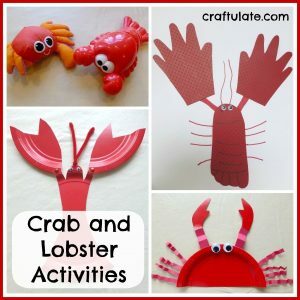 The crafts are adorable and I love the idea of printing the shell patterns into clay or dough!